A special thank you to a thoughtful reader. Tia of Julibeans rebuilt the pdf for my Bear and Bunny Pattern to include the missing instructions for the jacket. Thank you so much. 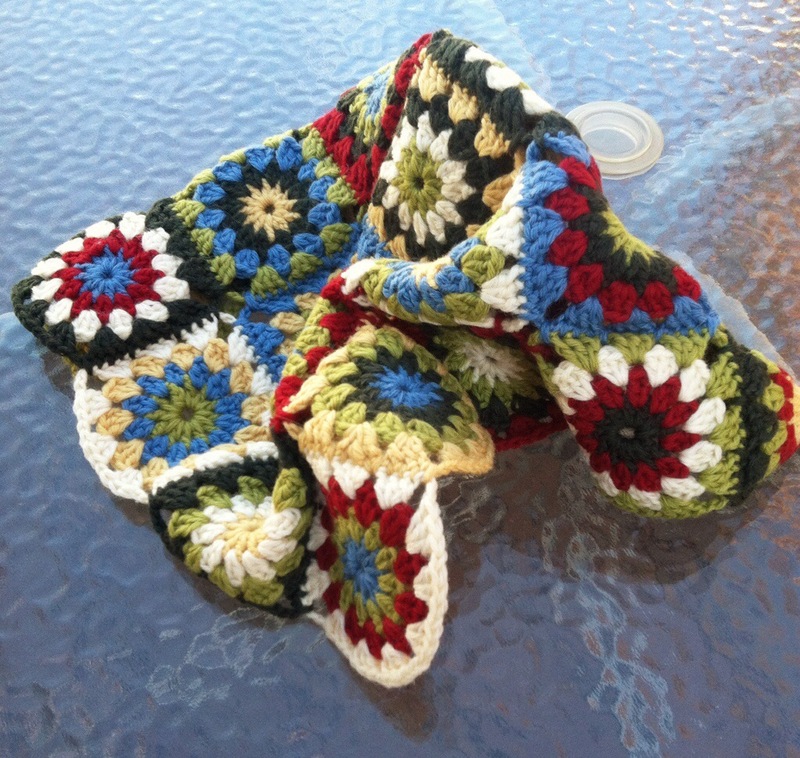 The link in Patterns and Tutorials has been updated and you can also click on the picture below. It’s spring break here. I find it silly to call it spring break since it isn’t even spring yet but I will take it. I have missed my big kids, Hollis has missed the big kids, and he and I are in heaven now that they are home. Being completely honest, my joy is partly because of the added help around the house they bring. It is so nice to have help with the daily household chores but also the company these big kids bring to Hollis. It has been many years since I’ve had a toddler to myself all day. I have been spoiled with so many years multiple children to occupy each other. Don’t get me wrong, I am loving our one on one time together but it is nice to be able to get things done and even have a bit of me time, at least more than a few minutes a day. So far I have had time to finish up my green, pink, and red quilt top. The back has been started and should be done this week. Yay! 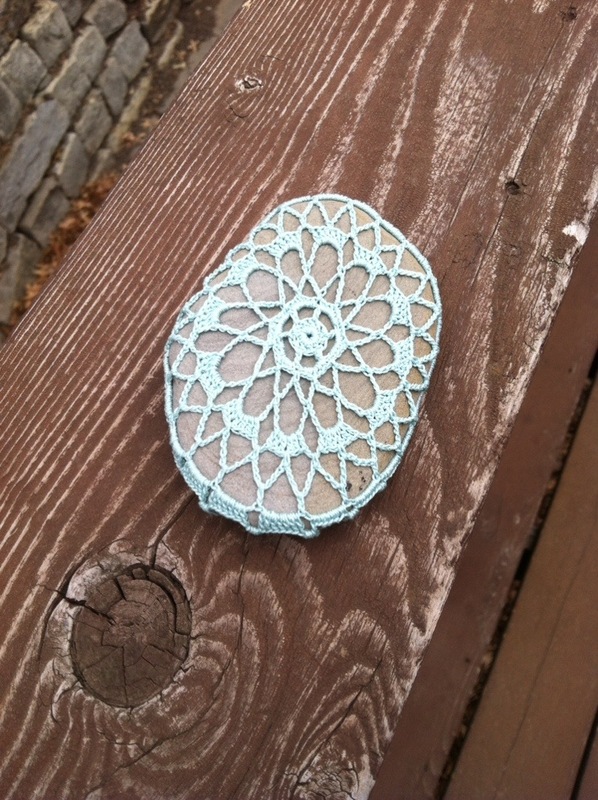 I also picked up some colored thread and got to work covering this rock. It was a pleasant change to be working with color on that tiny hook. I really do like the finished product too. Reading has also entered my day. A magazine no less. 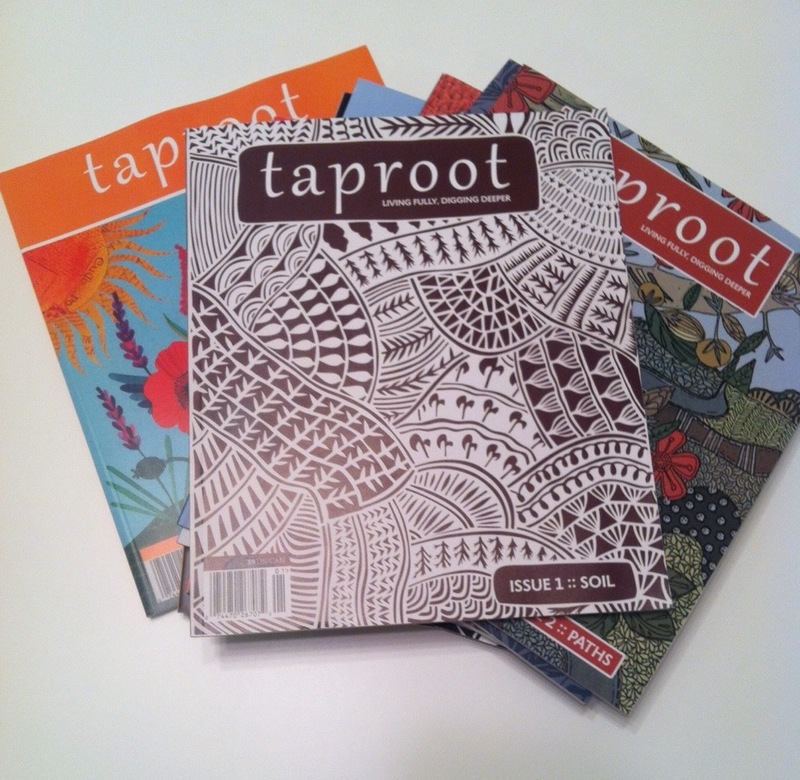 I have had time this week to read the first issue of Taproot cover to cover. I was a little nervous about ordering all the back issues without having read a single one but am so glad I did. Now I just need to decide which one to read next. Should I read them in order or skip to the next spring issues saving the other ones for their published seasons. Hmm. All I can say is that it is Tuesday. Tuesday!! I can’t wait to see what the rest of the week brings. I don’t know when it started. Sometime after leaving Turkey and before Hollis was born I think. I’d have to look through the blog to know for sure. It feels like it’s been a long time anyway. What I’m trying to say is…it’s back!!! I think I can finally say that my desire to make and create is back. Yay! It’s so strange how my mind let this part of me go. And then, out of the blue it’s back again. Not the same as it used to be, but back none the less. In its absence I learned a lot about what I was spending my time on and how it affects my family, my marriage, my friendships and my own personal growth. With this desire to create back in my life, I find my self treading carefully and for now am trying to keep things simple and use up materials I have. 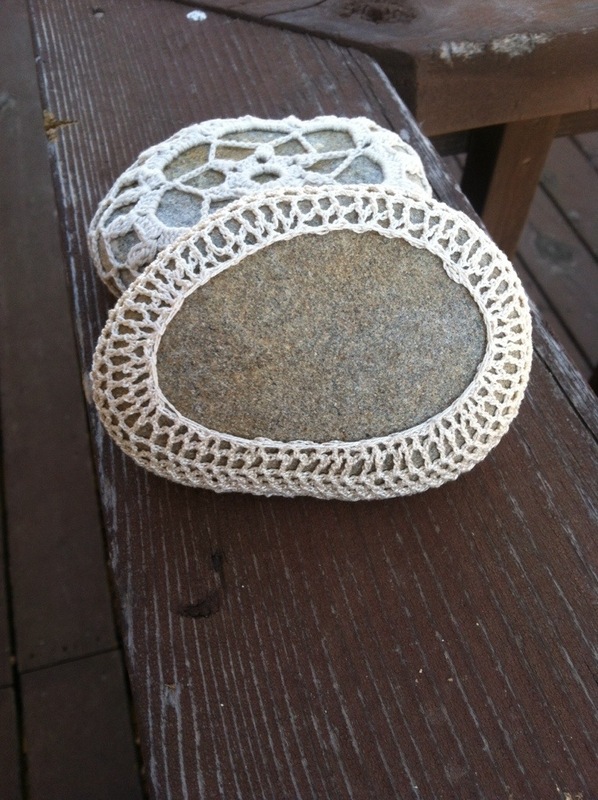 So… Along with my ongoing quilting project I have been crocheting some stones. My goal is to have a few projects going at the same time. Ones that I can have ready and available to pick up and get to work where I left off. 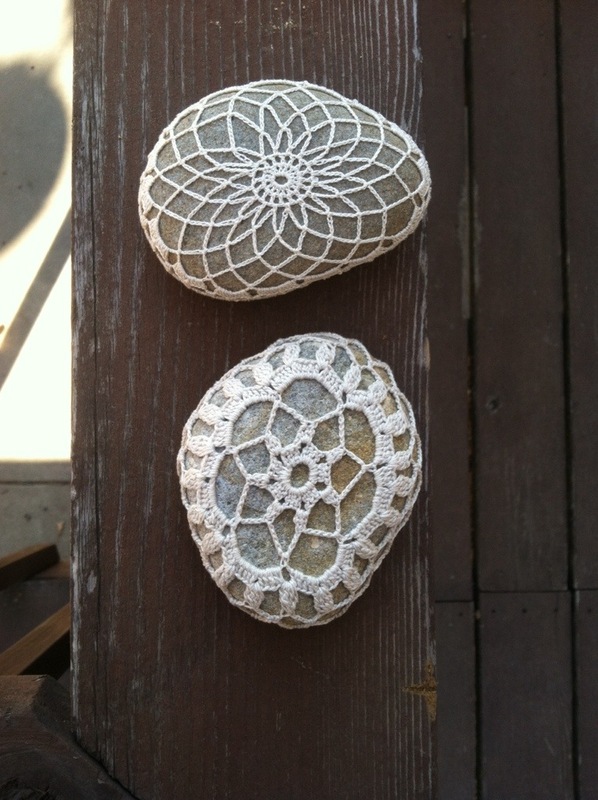 My quilting stuff is organized on a table in the basement and these crochet stones have been in a baggie in my purse. I love this new way of thinking. No longer am I in a hurry to get projects done and I am finding myself enjoying the process of making so much more. I think I am done with my crochet project. Well, I can’t decide. Maybe I’ll be finished for this year and work on it again for next year. Maybe not. 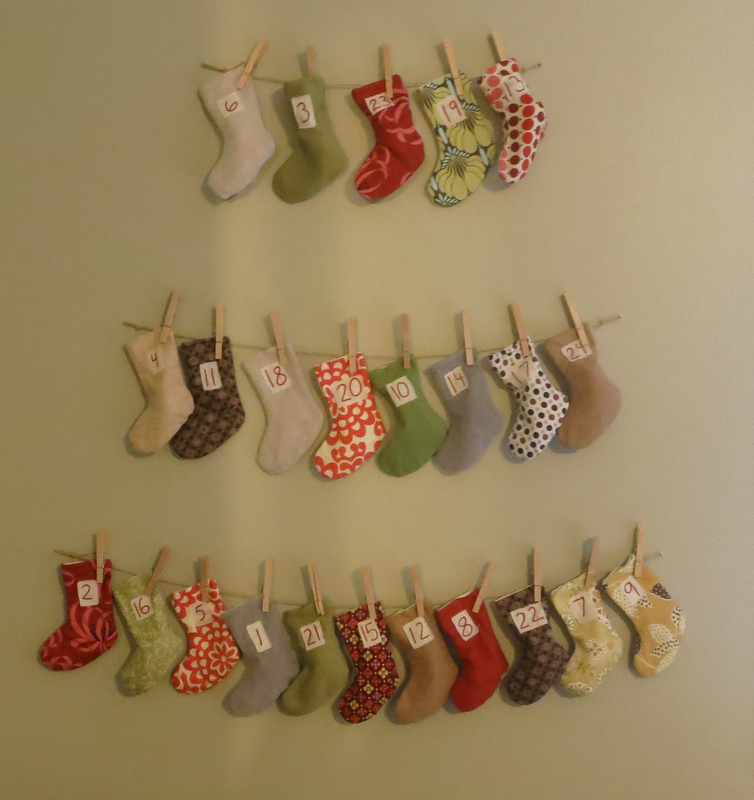 Quite a few years ago I purchased some yarn to make coordinating Christmas stocking for our family. I started out with Bron’s and then one for me because that is what we needed for that year. That is as far as I got. Mostly because I had altered a pattern to make the first two but lost my notes and then lost the pattern and could never find it again. (honestly I didn’t look too hard) I also started dealing with tendentious in my wrists which put all knitting to a halt and I quickly moved on to other types of projects. A few years later I tried to pick up where I left off but stopped just as quickly and decided that if we were to have matching stocking they would have to be sewn. This left the yarn in a box to collect dust and move to Turkey and on to Mississippi and now Nebraska. Last month enough time had passed and I was officially ready to move on and put that yarn to use in a different project. Not surprisingly on that same day I came across this tutorial. If you go and take a look at the link I bet you will be able to tell what happened first. I was smitten. 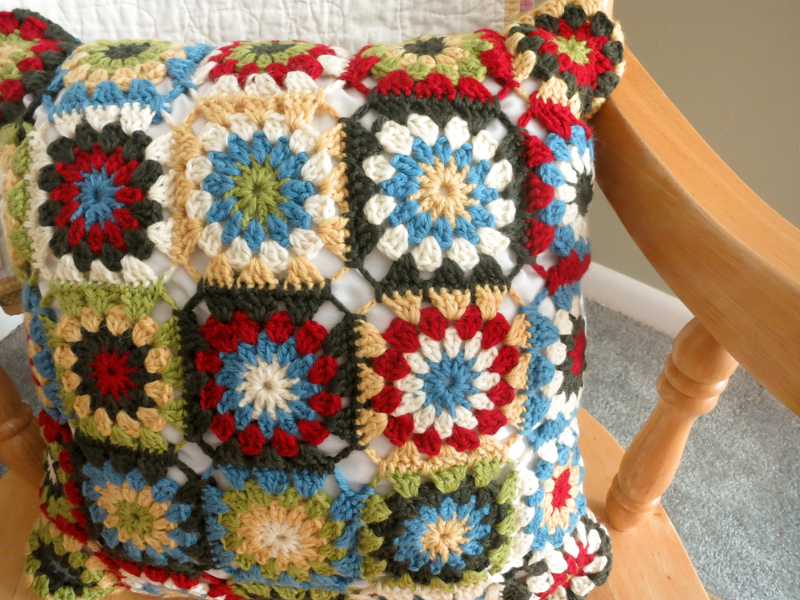 At first I wanted mine to have cream as a border as well but quickly realized that I didn’t have enough of that color or any one color to make that happen. So I went with it and was busy for a few weeks on all 50 squares. I bound mine together using the same tutorial linked to, using the darker of the two colors. However, since I had different colors at each corner I decided to just skip the corners altogether leaving a diamond shaped opening instead. This is where I run into trouble deciding if I am done or not. I could close the opening with the darkest of colors and it actually looks good too. I would even say that I like it better. However, I really don’t like weaving in loose ends and that would be a lot of loose ends to take care of. So, we shall see if I get around to it next year. For now, I will pretend it is done. As you can see my Christmas Countdown made it out another year. I had thoughts of making another but have decided that this one works just fine. If I ever make it again, it will be for my grandchildren (haha my oldest is only 15) and then I can make the changes I want. I haven’t moved on. In fact, I am feeling inspired to start some new projects. 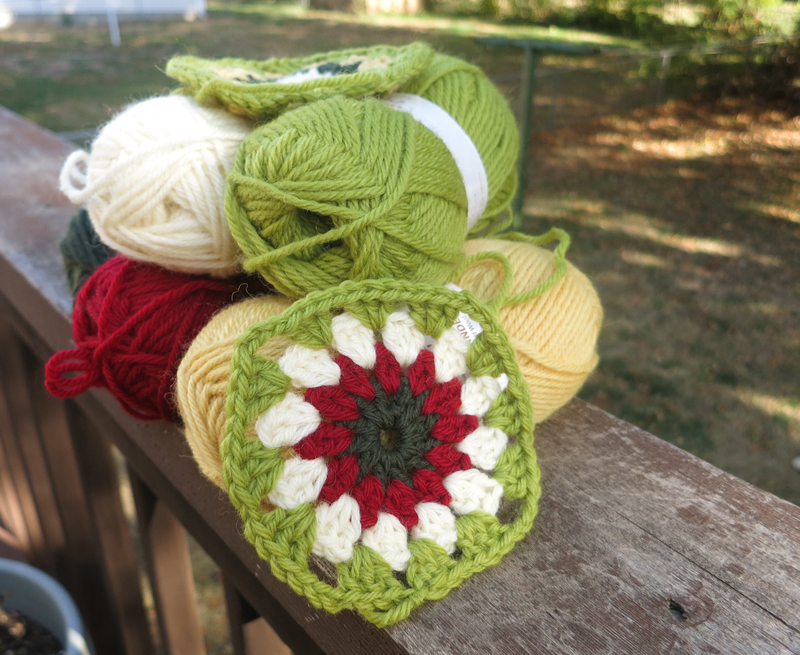 These granny circles are quite addictive. I’ll share some details when I have time to sit at a computer properly. For now, enjoy a sneak peek. Or maybe a good read. My visiting teachers brought me this message today. So much to learn in this talk. I am just loving all the fall splendor here in Nebraska. I can’t get over all the colors and beauty I see every day. I feel like a little kid getting so excited to go for a drive out of the city to see field after rolling corn field all golden and beautiful. As we head back to the city it is reds, oranges, bright yellows, acorns, pinecones, and the like everywhere. Up in the trees, flying in the air, and laying on the ground. I love it. I don’t know if it is the change of season or what, but this last weekend I found myself cutting my fabric scraps into 2″, 3.5″, and 6″ lengths, looking up how to reupholster a chair on YouTube, and digging into the closet under the stairs looking for the box of yarn I have saved for christmas stockings. All on the same day! I couldn’t believe it. I actually wanted to do something crafty. By evening, my mind was going every which way and so I regrouped and decided on one project for now. After all, this sudden burst of creative energy could leave just as fast as it came. 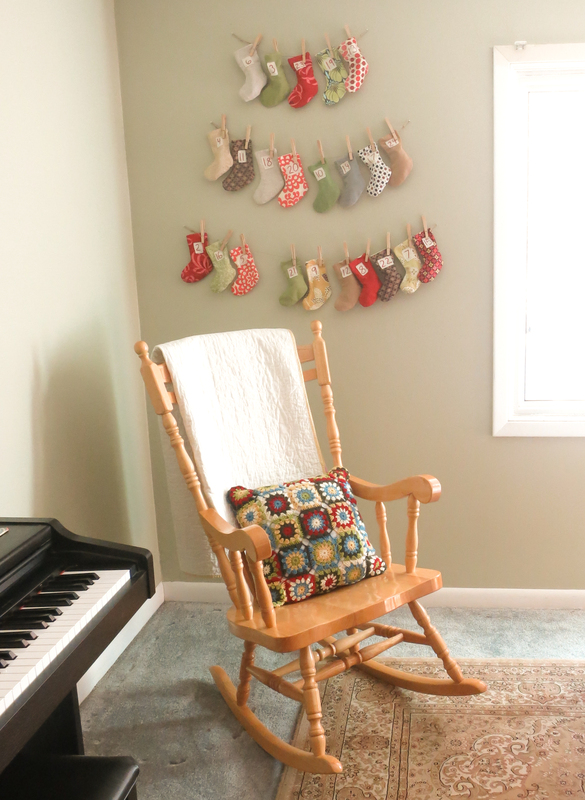 I decided to abandon the idea of matching knit stocking (it is so much faster to just sew them, and easier on my wrists too) and to use the yarn for another christmas decor project. I’ll let you more about it if anything actually comes of it. For now I will take a deep breath and calmly let this area of my life enter my mind and hands again. I know it is late but I’ll have a Halloween post up later this week. I just can’t pass up the chance to show you our little frog this year. 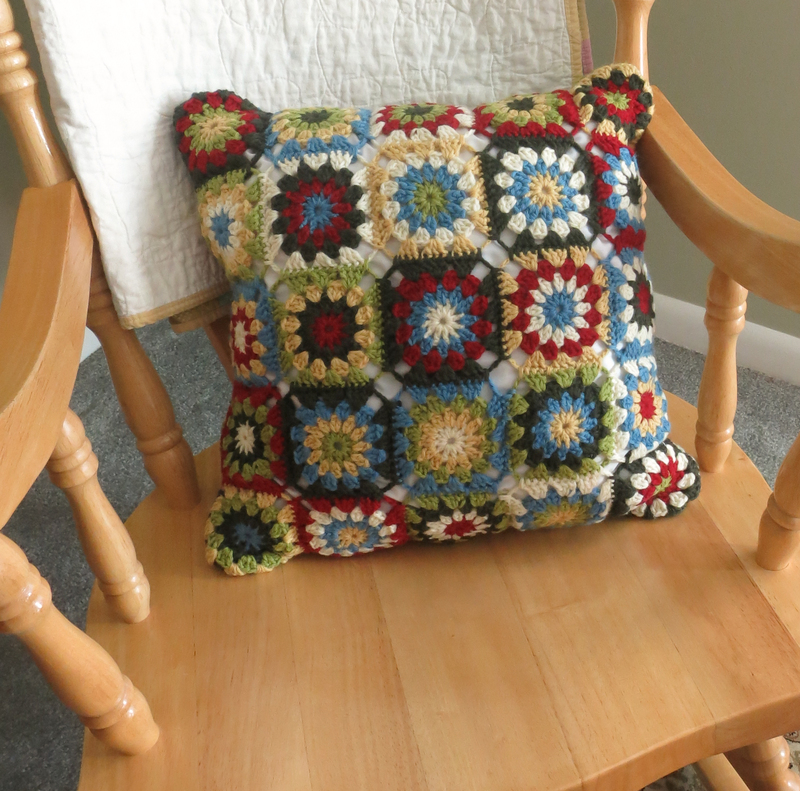 Crochet projects were not on my list for this month. On the contrary, I made a conscious decision not to include any knitting or crochet projects. You’ll have to blame it on Ravelry. 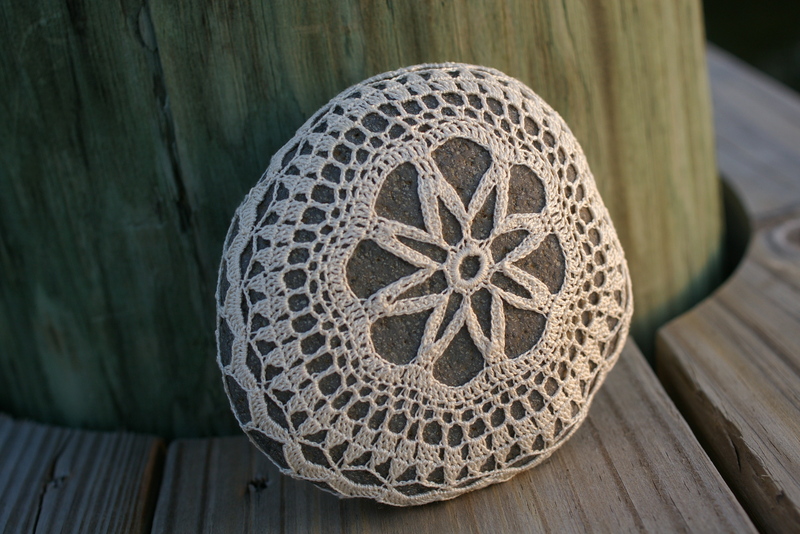 I found my self browsing though their thousands of projects late saturday night and I came across this doily and knew I wanted to work on it during General Conference the next day. I didn’t have the thread it called for or a hook that small but I did have some pretty thin (single ply?) DMC Cotton Perle’ and a 1.4mm hook to fit it, both much smaller/thinner than I had ever worked with, so I got started. 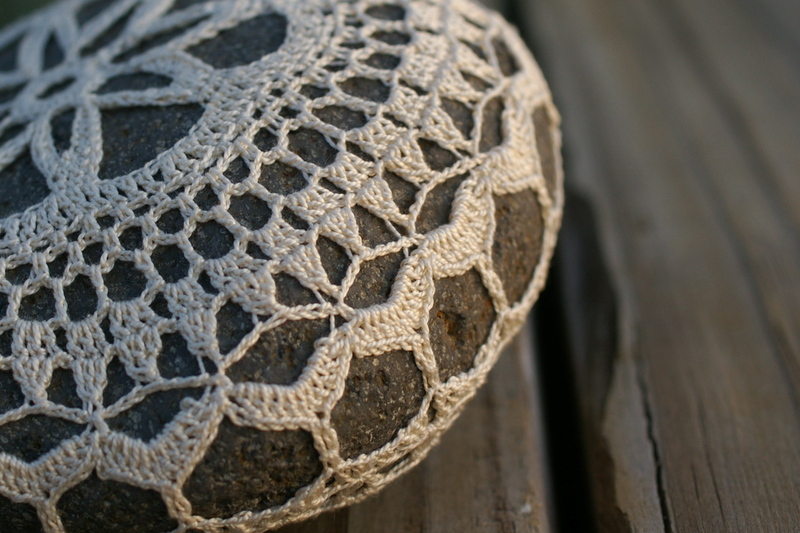 I followed the pattern exactly until I got to the first pretty picot edge and just loved it so much. 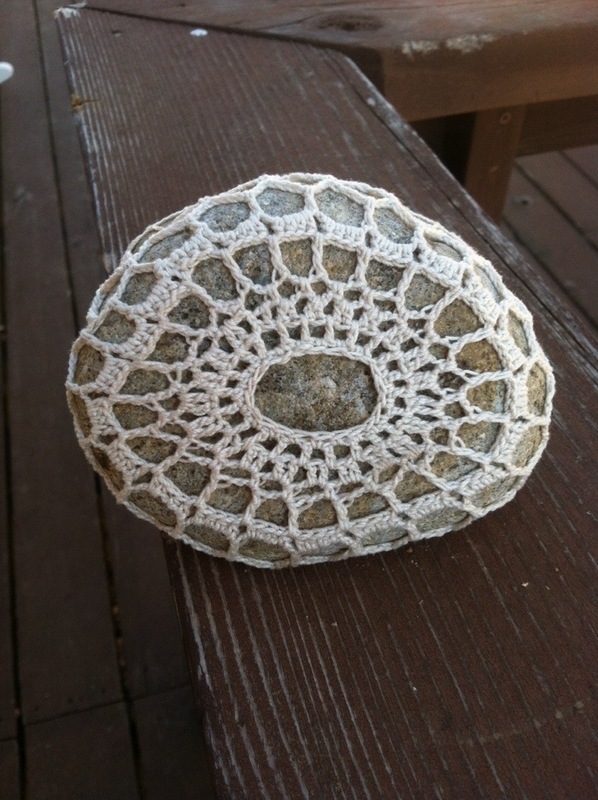 I instantly started thinking about crochet stones and remembered I had one last stone from my spring trip to Hawaii last year. I tried it on and knew it was meant to be. It fit perfectly around the face of my stone. Perfectly! So, following the pattern for a few more rows but modifying it so it would decrease, than winging it for the last few rows, I worked on this for the last few days whenever there was a minute I wasn’t busy with something else. Now the joints in my hand are stiff and sore. Working with such thin thread and small needles proves to be a bit more trying than supplies I’ve used before. However, it was worth it. I love the results so much. 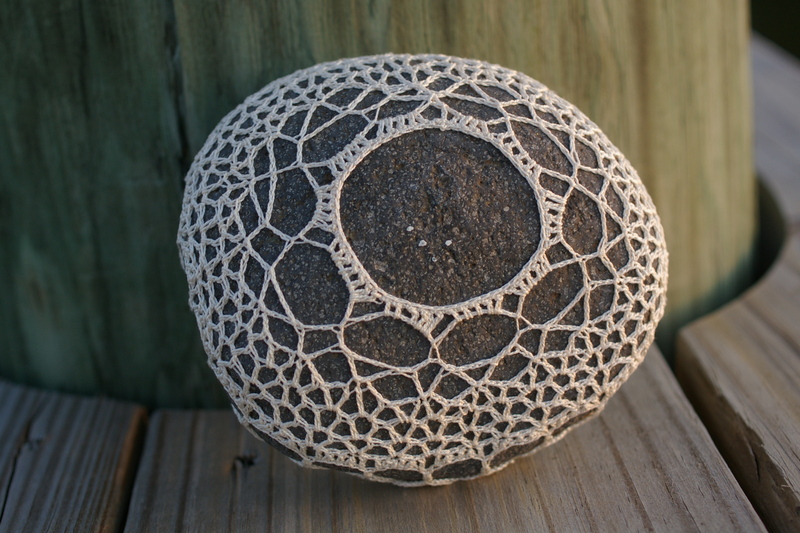 You can get so much more design on a stone this way and it is so pretty and delicate. So, happily I add this as my second gift for the month. I hope there are some nature lovers out there that will love this as much as I do.